Celebrating another Friday y’all! Here in ATL that means our first SMOG warning of the summa-time! 90 Degrees and SMOG…yummy! I love it when I feel the humidity. You may think I am strange, but I go to this place in my mind and think about the beach and the feeling of summer on my skin. I don’t know, I guess it is just that the season of tan skin and tank-tops is here and I could not be more excited! Don’t forget your sunscreen people! What an amazing wedding season start we have had…these are the days I have been waiting for- dreaming about for months! I love a full calendar and the opportunity to do what we love. And, I am super thankful to do that with my husband of two years! This week David and I celebrate two years of being married, being in Atlanta, the milestone of buying a home, getting out of all our debts, learning to love each other better each day, running our business, and living life together. There is something in the beauty of celebrating marriage with each couple that we get to photograph. The vow of marriage, and the anticipation of life together. There is also something about being two years into marriage that is equally as amazing….and we are looking forward to many more years of that amazingness! 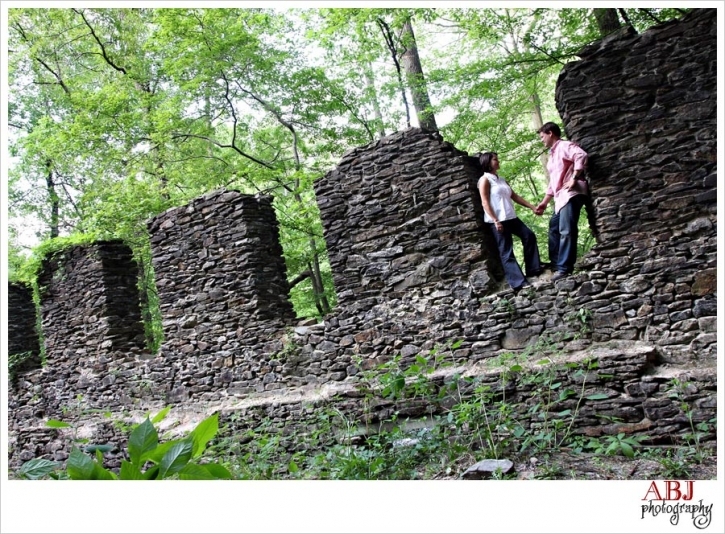 We may make you scale the walls of old Paper Mill ruins in N. GA for fabulous photos…and memories!